Cloud computing is an IT services paradigm, delivering IT services via a shared pool of resources be it storage, network, servers, applications often over the Internet. While the cloud providers ensure security of the cloud, the security of the organisation data, systems and configuration is the responsibility of the organisation. With the various complexities, variety of components and multitude of people and processes, often cloud security gets overlooked or misconfigured. We specialize in securing cloud applications, workloads and infrastructure by help define, evaluate and implement cloud security. We use a combination of audit & compliance toolsets, architectural reviews and vendor recommended best practices to achieve security in the cloud. Click here to book a free cloud security strategy session. With more and more organizations starting or undergoing their cloud journey, we help identify the unique business objectives and assessments which aim to provide a flexible design and transition planning for successfully adoption of cloud services. We assist organizations in evaluation and adoption between various cloud and service models be it public, private and hybrid or IaaS, PaaS, SaaS. Our methodological approachacross people processes and technology drives an organization towards a common and well-defined cloud strategy. Our customized approach to an organization’s cloud transformation ensures successful move into cloud services. Assessment of a cloud service provider needs a unique approach as typically the infrastructure, threats, risks and controls are shared between the provider and the consumers. We help organisations in creating a cloud security vendor assessment questionnaire based on the industry best practices and cloud security guidelines which is used to evaluate a IaaS, Saas, Paas offering of a third party cloud provider. This enables an organisation to make informed decisions with full visibility into risks, threats and responsibilities associated with the provider. It also helps an organisation with providing controls it can incorporate to minimize risks associated with cloud vendors. This is essential to ensure organisational data and information remains secure with the chosen cloud provider. IAM is used to control who is authenticated (signed in) and authorized (has permissions) to use the specified resources. We offer a framework of policies and technologies for ensuring that the appropriate people in an enterprise have the appropriate access to technology resources. We help map the right IAM solution to your organisation’s specific needs by letting the administrators authorise who can take action on specific resources, providing full control and visibility to manage resources centrally. Cloud is one of the biggest challenges security teams face, Gartner estimates that for the next few years, 95% of cloud security failures will be caused by customer failings, rather than cloud service provider security failings. Our CASB offering can help secure variety of cloud applications such as O365, Salesforce, Google Suite, Dropbox, Slack, Jira/Confluence, Box, AWS, Exchange etc. 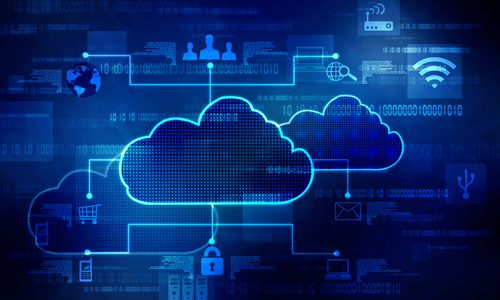 We partner with and offer best of breed CASB solutions to curtail the problems of “Shadow IT” and to rid the security problems posed by the use of cloud services – both sanctioned and unsanctioned. Centre for Information Security (CIS) is a recognized global standard and anon profit body with its mission to "identify, develop, validate, promote, and sustain best practice solutions for cyber defense and build and lead communities to enable an environment of trust in cyberspace". We offer guidance for establishing a secure configuration posture for IT Infrastructure based on consensus security configuration benchmarks developed by a global community of cyber security experts at CIS. .